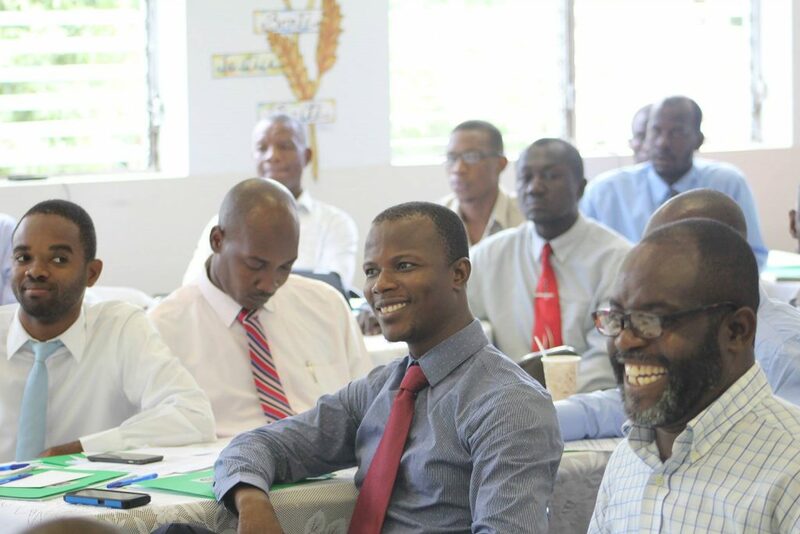 The Séminaire de Théologie Evangélique de Port-au-Prince (STEP), as part of its mission to prepare godly Haitian leaders for the transformation of their communities, strives to maintain a close link with its alumni serving all across the country. With this in mind, all graduates of STEP, CESTEP, EEB and Cours Féminin are invited to the annual Alumni Meeting taking place October 17th, 2017, from 8:30 am to 2:00 pm on the seminary campus. This will be an opportunity for STEP alumni to renew relationships with fellow students and those from other classes, share about their experiences in ministry, learn about the activities of the seminary and be refreshed by the word of God. Additionally, this year, Professor Andrikson Descollines, STEP Academic Dean will make a presentation on the strengths and weaknesses of the Protestant Reformation. STEP invites Alumni to confirm their presence by sending a message to info@stephaiti.net or by calling 2813-8229. In lieu of a registration fee, STEP would welcome a donation to the seminary from alumni who attend.